Der Körper als Medium für Widerstand und Befreiung. Künstler aus Nah- und Fernost, der Ukraine und Polen. Bis 23. Aug. 2015, MOMA Warsaw, Polen. Kuratorialer Text und Fotorundgang. In the last few years, the world has witnessed protests voicing demands for justice, social reforms, and political transformation, which in some cases have developed unpredictably into civil unrest and wars. The human body has been at the center of these events, mobilized and deployed as a tool of resistance through different tactics and strategies since the self-immolation of Mohamed Bouazizi in Tunis in 2010. That fatal incident sparked unprecedented wave of protests as publics took up the action, congregated in streets and squares, marched in massive demonstration, and participated in occupy movements worldwide. For politics to take place the body has to appear, and for emancipatory actions to take place the plural collective body has to appear and occupy spaces. Each participant in these protests offers his or her individual body, which then exists between two forms, the individual and collective, within conditions that are enigmatic. For centuries, writers, artists, philosophers, and thinkers have been proposing different ideas and concepts to untangle that intermediate state. The Sufi Ibn ‘Arabȋ (1165-1240) suggested the concept of barzakh. While this term literally means “isthmus,” and more specifically the invisible line that divides the “two seas” so that each sea has its own temperature, salinity, and density,” Ibn ‘Arabȋ employs it “to designate anything that simultaneously divides and brings together two things.”  For Ibn ‘Arabȋ, the barzakh is a space and time between life and death, the corporeal and incorporeal, material and immaterial, objective and subjective, body and soul; Ibn ‘Arabȋ uses the term “supreme barzakh” (al-barzakh al-a‘lâ) “as a synonym for nondelimited imagination, the cosmos, the realm of possible things, which in themselves are neither necessary nor impossible, neither infinite nor finite.”  In resistance, the body changes its condition into an ambiguous state that can be termed barzakh. The exhibition Lest the Two Seas Not Meet explores the ways in which particular themes, clusters of works, and artistic positions respond to situations and conditions that are too complex to fully untangle, as they sketch dynamics that may be difficult to otherwise articulate. The exhibition does so by presenting various artists’ explorations of the human body through its traditional portraiture, its fragmentation, its acting as a medium for enacting resistance in contemporary life and thus its position as a medium for emancipation, and its contribution to the imagination of its future, in the form of its post-human condition. Fragment from Rituals of Gestures and Metamorphoses (1994) by Saadallah Wannous (1941-1997). * Kairo, Ägypten. Lebt in Brüssel, Belgien. Kurator, Architekt, Direktor des Young Arab Theatre Fund von 2002 bis 2014. Initiator von Meeting Points. 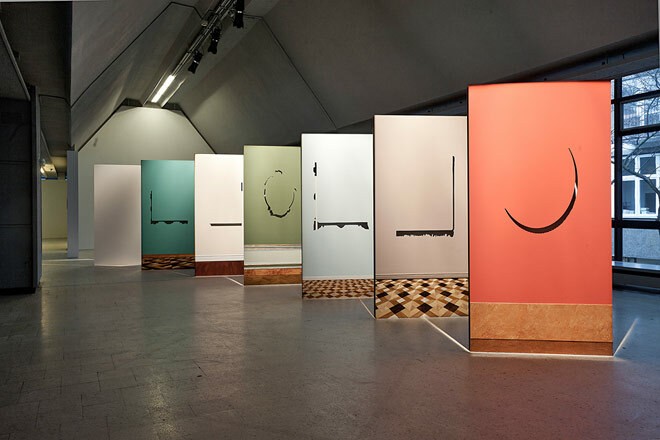 Basel Abbas & Ruanne Abou-Rahme, Haig Aivazian, Jananne Al-Ani, Doa Aly, Franciszek Buchner, Ali Cherri, Danwen Xing, Joana Hadjithomas & Khalil Joreige, Mona Hatoum, Saba Innab, Emily Jacir, Nikita Kadan, Rajkamal Kahlon, Amal Kenawy, Jean Christophe Lanquetin, Maha Maamoun, Basim Magdy, Jumana Manna, Lada Nakonechna, Ho Tzu Nyen, Walid Raad, Khalil Rabah, Vlada Ralko, Mykola Ridnyi, Seo Min Jeong, Sharif Waked, Aleksandra Waliszewska, Andrzej Wróblewski. 17. Mai - 10. Juni 2013. Werke von 18 Künstlern, kuratiert von Tarek Abou El Fetouh. Ort: Artheum, Quarantina, Beirut.